In part four, Ford’s Manager of Vehicle Electrification and Infrastructure, Mike Tinskey talks about how to charge your Hybrid and Electric vehicles. Mike talks about the home charging, and how Ford is partnering with multiple companies to place charging stations. The Focus and C-Max, along with a 6KW charging station, can get your car charged faster. Along with charging, they had to deliver a charging station. Working with Levitan, they developed a plug-and-play box that runs off 110v. This box is also portable – take the box with you. 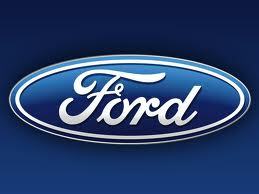 Ford is working with Best Buy for installation of this device. For $1499, you can get the box and standard installation. The 30% incentive will bring the price down, and the 10 year warranty will make sure your charge station will be in top shape. Mike also talked about the 19 markets that will contain charge stations. By the end of 2012, 12,000 stations will be deployed. You will be able to reserve these charge stations at your destination. Several businesses will install charge stations, such as Marriott, Ikea, McDonalds, meijer, Walgreens, Cracker Barrel, Whole Foods, Best Buy and many more.